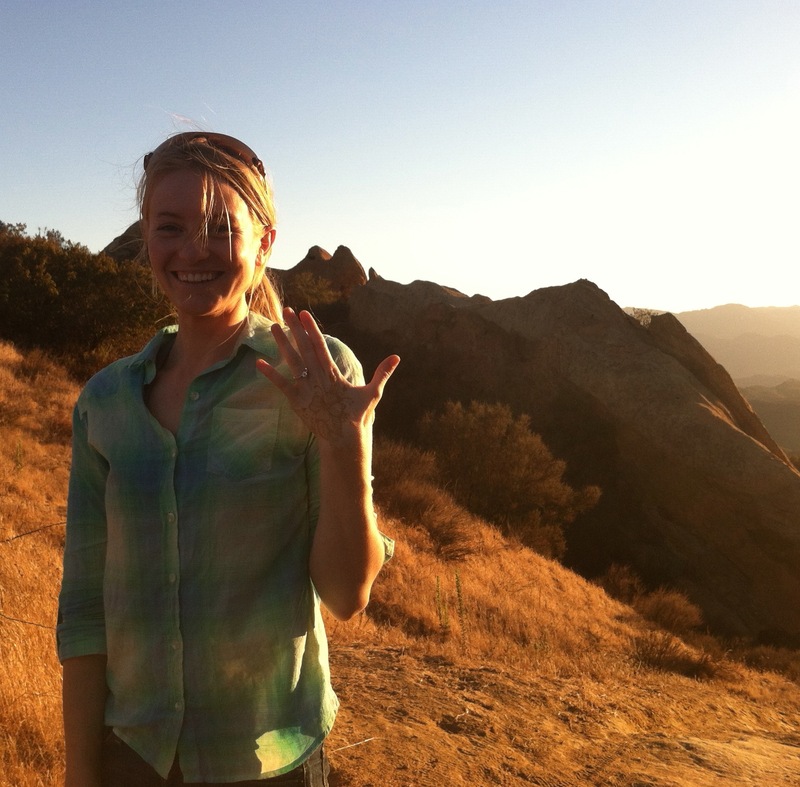 Looking for a place to propose in Los Angeles, Malibu or Santa Monica? 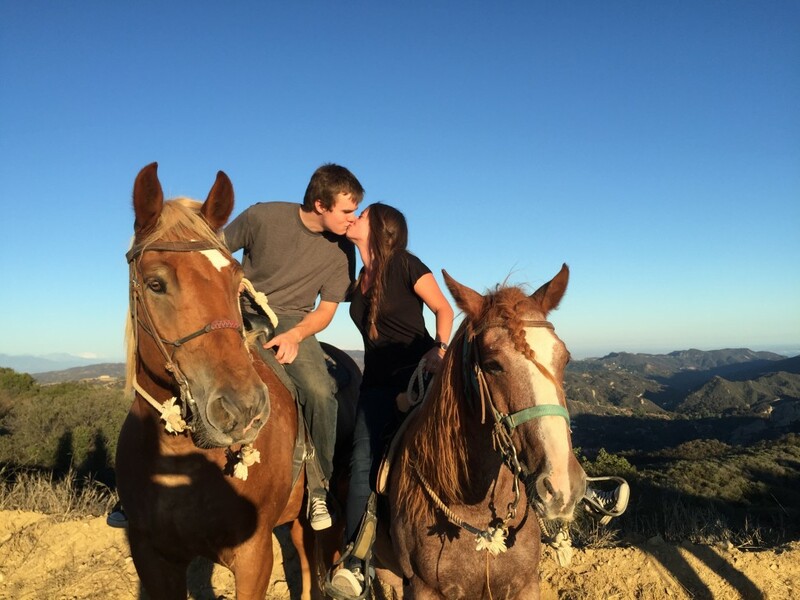 When romance is in the air, when you are ready to take your relationship to the next level, when you have that ring and want to create a moment that you’ll both remember forever – The team at Los Angeles Horseback Riding is here to help. THE PROPOSAL RIDE: Your own private trail guides will take you and your love onto the mountain trails on a gentle, beautiful horse. When we reach the perfect mountain peak we’ll stand by giving you privacy as you drop to one knee and make the magic happen. Be it sunset, rolling clouds or one of the beautiful ocean views you might experience, nature will provide the backdrop, we provide the horses, you just need to show up with a full heart. You will return to the stables to discover a beautiful arrangement of roses waiting for you to bring home. We can work with you for any other special touches – be it a cozy fire, special treats, rose petals on the ground – one of our concierges can help you plan the perfect engagement. 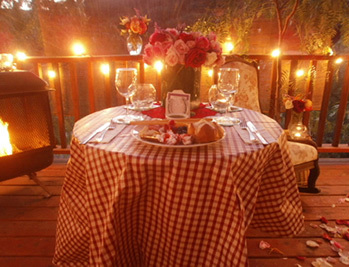 We have lots of friends and relationships in the area and can assist you with dinner reservations at any of the charming businesses in historic Topanga, Calabasas or Malibu and can even help you book a delightful Bed and Breakfast Inn so you can stay in Topanga and explore the quirky charm of one of Los Angeles’s hidden gems. THE ELOPEMENT RIDE: Some couples want to keep the moment they make the ultimate commitment just between them. We understand and will take you on a quiet, private ride (identical to the proposal ride above) and when you return, you can get married on one of our rustic decks. We have a licensed reverend on staff and will happily arrange for flowers and a beautiful ambience to compliment this most perfect and simple of moments. You have a lifetime to share with your friends and family. This moment is just for you. THE INTIMATE COUNTRY CEREMONY: We know that weddings are a big deal. But we also believe that getting married can be amazing without being a big, fussy, hassle. 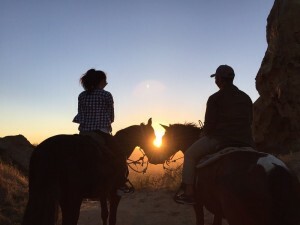 For some special couples, those who understand the charm and warmth of a small, simple, outdoor ranch wedding, Los Angeles Horseback Riding may be your solution. 10-15 guests will be welcomed to our home and stand by as and your partner are legally married by our on-staff Reverend, surrounded by the people you love most in the world. Later, you and your guests will relax while being served a sophisticated, unhurried, fireside barbecue under oak trees and chirping birds. There are many options we offer for this big day, both with and without horses. We can guide you through all of them and help you make the decisions that are right for you and your family and friends. This is a memorable and affordable way to start your life together.